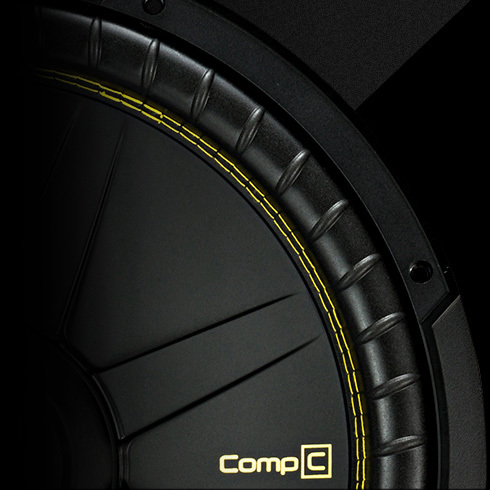 Get big value and bigger performance with the CompC. 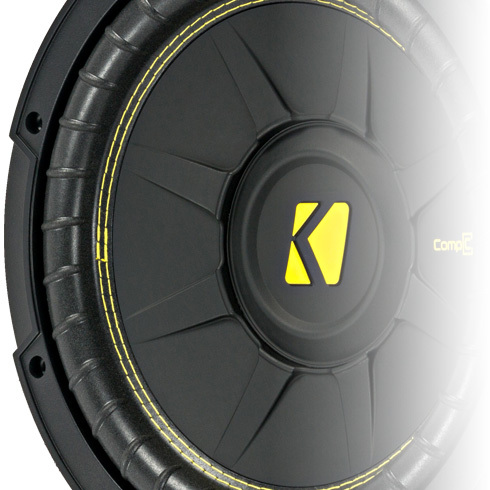 Our signature yellow stitching creates a superior bond between the tough, ribbed polyurethane surround and polypropylene cone for the best in reliability. 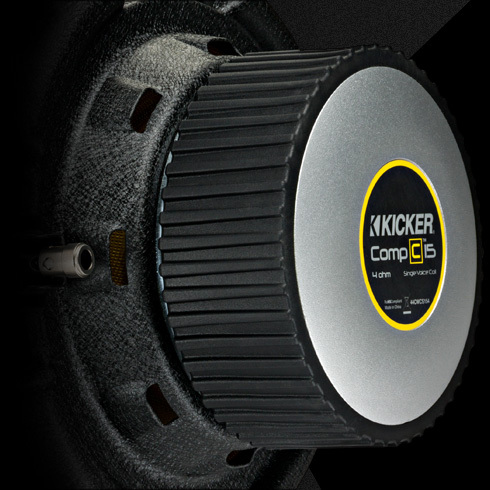 CompC subwoofers have a lightweight, injection-molded polypropylene cone to eliminate flex and distortion. You get a deep, accurate sound no matter how hard you push it. Perimeter venting slots allow air to constantly circulate around the motor to maintain the perfect operating temperature. 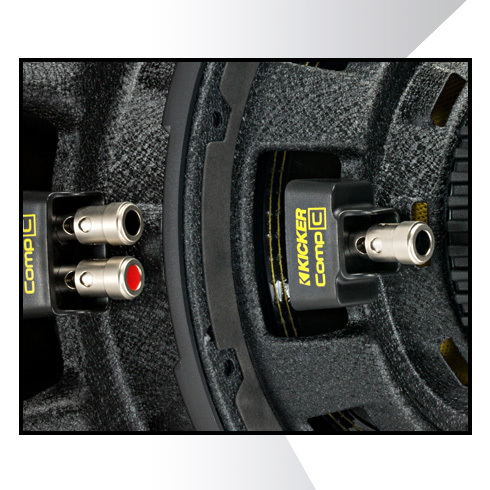 Single and dual-voice-coil four-ohm options let you get the most out of your amp. Need wiring and box info? 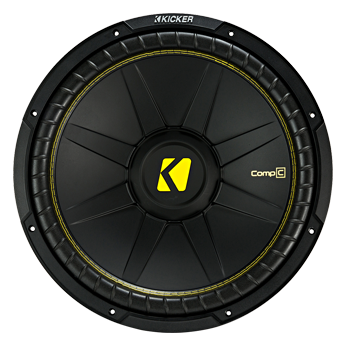 Go to KICKERU for a free woofer & amplifier configuration app. 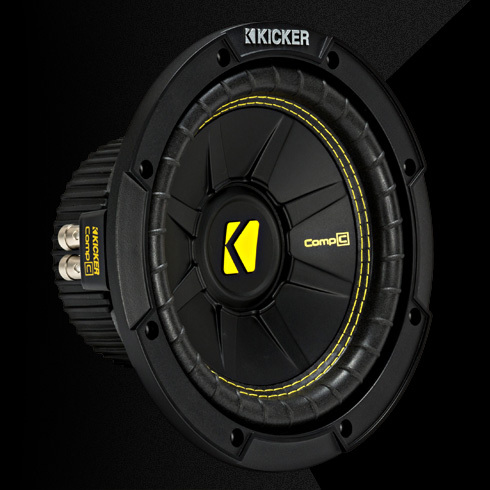 With recommended power ratings as high as 600 watts, this KICKER sub delivers serious bass! Use a CX amplifier for the perfect marriage of power and performance.